Reader mul-tec-rnb has sent in the above video of his recreation of Wii and DS game Sonic Colours‘ Planet Wisp stage using tools in the PS3 title LittleBigPlanet 2. It’s quite the faithful design, from the flowers to the construction site parts. Check it out and share your thoughts in the comments section below. Thanks to mul-tec-rnb for sending this in. Got something you would like to share with the community here on The Sonic Stadium? Send it in to thesonicstadium@googlemail.com, shadzter@sonicstadium.org or via Twitter at @Shadzter. Sega of America have updated their product page for Sonic Unleashed. The page now has 2 copies of the China trailer and states that the PS3 version is OUT NOW. So U.S. gamers, how is Unleashed? Any good? On a serious note though, what a mistake to make. Does this mean we’ll be getting a release date soon or are Sega of America’s web site staff as bad at noticing errors as Sonic Team are at noticing bugs in their Sonic games? In other news if you run your mouse cursor over their Egypt trailer it says ‘Petra trailer’, I haven’t seen that name anywhere on the official Sonic Unleashed site so could this be the official Egypt stage name? 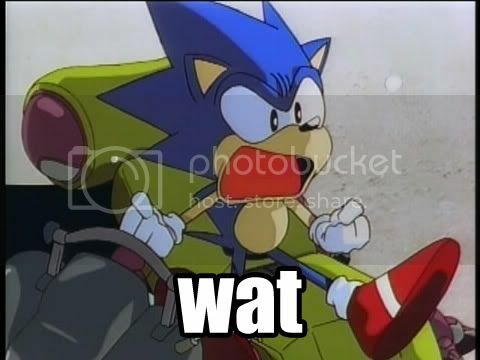 SOA Sonic Unleashed product page Discuss, if only for the lulz at the SSMB topic. There’s been a mixing pot of Sonic news lately, none of which has been deserving of a full-blown article, which is why Sonic News has rounded them up into handy little news reports. SEGA’s FPS a phantom of it’s former self? In Japan there have been rumours suggesting that, due impart to an absences from E3, Fifth Phantom Saga (developed by Sonic Team) for the PS3 had been canned. HarihariSonic of Japanese Sonic fan site Act Select quelled these rumours by revealing SEGA were still listing the game down on its products page of their Japanese site. As Sony and Microsoft unveiled their latest consoles during their Pre-E3 Press Conferences on Monday, it was a good time for SEGA to start shouting about their advancement, now they’ve firmly gotten their feet dug into the third party game. During the PlayStation3 unveiling on Sony’s side, there was a clip of a new SONICTEAM project called Fifth Phantom Saga. It’s marks the house of Sonic’s first attempt at a First Person Shooter – but as you’d expect, it’s not your bog standard fare. While you do have a gun and can blast the crap out of baddies, the main protagonist appears to be a hellish, other-worldly creature that floats about and lays the smack on enemies. This somewhat evil-looking beast is controlled by the player, using the free hand not holding the gun. The unnamed creature can pick up objects and lob them at enemies, and can also appear to be used to solve puzzles: with one section of the trailer featuring the monster matching an effigy on a wall.